I started out just wanting to remodel my kitchen counter tops and was totally overwhelmed with the many choices I had in granite. Ava took his time and had lots of patience with me as he personally walked me through the entire process until I was satisfied and assured of my decision. When working with Ava, I felt very confident in his ability to get the job done. I was equally impressed with his willingness to have patience with me, not to rush me in making a decision, just so he could obtain the business. Ava exemplified I professionalism at at every turn respecting my concerns and listening to me as a client. (His) crew was equally professional, hard working and very attentive to my home and personal belongings. I was very impressed with their work ethics and due diligence that once my kitchen counters were completed I continued to use Ava and his crew to have my kitchen floors replaced as well. Now I have a beautifully completed remodeled kitchen and very happy I found a contractor I could trust and use for future business. I recently remodeled my kitchen and was overly concerned about who I would use, and how it would turn out. Ava was the absolute perfect choice. Not only was he patience and fare, he walked me through everything. He personally took hours of his time to help me select the right granite for my kitchen counters as well the tile for my kitchen floors. His crew and subcontractors were phenomenal. They worked relentlessly to get the job done and were careful with all of my home items and appliances. Ava went over and beyond to ensure I was not just satisfied but to ensure I would enjoy my new kitchen for years to come! I would highly recommend you calling Ava before going elsewhere for any remodeling work you may consider for your home or office. You will not find a more professional, considerate and well staff crew than Finesse Remodeling and Consulting! Thank you Ava for a job well done, I look forward to working with you again in the future. I had a small bathroom remodeled, including fixtures, tiles, shower and paint. I found the name of this company through Angie’s List and called for consultation. I liked what was offered and got good suggestions for the project. The work was done neatly and efficiently and to my satisfaction. I would recommend the company. The workmen showed up on time when expected and worked without disturbing me. Some problems arose during demolition but they handled without too much bother. The work was finished with only a few delays for delivery of needed items. When the work was finished, there was a thorough clean up. I had the pleasure of working with Avishay Ben-Dov last year. My wife and I had met with him to quote on a patio enclosure. We had met with 3 other contractors and knew right away that we wanted to work with Avi. He is very creative and has an eye for design. We liked his ideas so much, that we actually changed our minds from the patio enclosure to re-doing our kitchen. We were very impressed with Avi’s oversight during the entire project. He stayed in tune and in touch with us throughout the timeline. My wife is extremely particular about many things and I am not shy about calling to voice my concerns or opinions. Avi was always the utmost professional in dealing with these concerns or ideas and made me feel at ease. Quite frankly, working with Avi was the best experience either of us has had with any contractor, ever. We were excited by the final outcome of the kitchen, in fact so excited, that we decided to have Avi quote and map out his ideas for bathroom make overs as well. We moved forward to do both our bathrooms and are very happy with the results of that project as well. I received a referral from Angie’s List to Finesse Remodeling and Consulting to remediate some work done by another contractor. The prior contractor had done some sloppy work and did not complete the job. 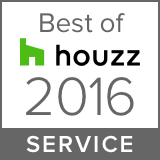 Angie’s list gave me Finesse’s name as one of their top-rated companies. The work encompassed remodeling a bathroom and a second story loft. I was immediately impressed with Avi, the owner, when I spoke with him on the phone. We made arrangements for him and his foreman, Sam, to come assess what needed to be done. Both were very thorough and professional. Avi immediately followed through on providing me with a very fairly-priced bid. The work got completed without a hitch and I am extremely pleased with the quality/outcome. In addition to being very pleased with the quality, my expectations were exceeded in terms of the completion timeliness of the job. I’ve only had two prior experiences with contractors, and both times the time to complete the job went way over what was promised. I just assumed that this was par for the course when doing construction. I am delighted to say that Avi kept every single promise he made me and the job was completed on schedule! I have one more bathroom to remodel and will definitely use Finesse for the job! I needed to gut and rebuild my master bathroom from scratch. The original bathroom was demolished down to the studs and I worked with Finesse Remodeling to design a more modern and efficient bathroom. New shower including tile, shower pan, shower head, and glass. New bath vanity, toilet, cabinetry, and towel racks. New bathroom floor tile and paint. Avi and Finesse Remodeling made redoing my bathroom as stress free as possible. Not sure exactly what it was that I wanted, Finesse was able to work with me at every step to insure my bathroom came out perfectly. Avi’s experience really paid off when it came to selecting tile and slate colors and patterns. What looks good at the store might not look so good in your house! But Avi and Finesse were able to assist me in that area and I’m very happy for it! Thanks to Finesse Remodeling, my custom built, personalized bathroom is now the nicest room in the house! I will definitely use them again.. This is a is top notch company. Finesse Remodeling just finished remodeling my master bathroom. Based on my previous experience working with other constructors in the past I expected this project to be a big hassle but I was so impressed how efficient, professional and experienced Avi and his crew were. The crew cleaned up after themselves every day, always on time and did high quality work. Job was supervised very well. From my first meeting with Avi until the job was completed it took less than three weeks! I highly recommend Avi, Finesse Remodeling for your next project. Yelena, T.
I contacted five contractors, and I interviewed and received bids from three before deciding to go with Finesse Remodeling. I chose Avi because of his enthusiasm and his follow-up after our initial meeting. He convinced me that he really wanted to do the project and that his number one priority was to make me truly happy with the remodel. Price wise, his cost for the labor was the most reasonable out of all the contractors I interviewed, but his estimate for materials was unrealistic and far below what we ended up spending. I am incredibly happy with the choices we made and the quality of the work. This was the first major remodel project I’ve ever taken on, and I do wish I had done a bit more research to be able to provide images and ideas for what I wanted right from the start. Avi had fantastic ideas for this project, and he has a great eye for detail. We ran a strip of mosaic tile around the shower and down to the shower bench that added a fantastic modern touch. One of the biggest challenges with this master bathroom is the incredibly small size, but his idea to decrease the depth of the vanity and alter the shape to allow for storage cabinets and drawers both opened up the space in the bathroom and provided functional storage that we did not have before. I am truly impressed by the quality of their work. Every edge, grout line, and all the other tiny details truly look flawless. And, Avi just contacted me yesterday to follow up on the work and offer to touch up any imperfections that have appeared as the work settled in the last two weeks since completion. Throughout the construction phase, his team always arrived on time and did a fantastic job keeping our condo clean and in a habitable condition while they were working. They cleaned up their work space at the end of every day and managed to contain the mess incredibly well. Both Avi and his foreman Sam were great about communicating with me and were very easy to connect with whenever I had a question. The project was completed on time, and Avi arranged for cleaners to come to the condo and clean any remaining construction dust or residue from the bathroom and the surrounding area in the bedroom. The bathroom now has both an incredibly beautiful design and great functionality that it definitely did not have before. One example is how well dust and debris control was managed. We didn’t realize how much powdery fallout would result from our old shower being demolished, but were shocked to discover how little owner-cleanup there was at the end of each day. Our bathroom and living areas weren’t just covered in plastic sheeting, they were practically gift-wraped. Also, we have a home business + office which brought unique challenges into the picture. Finesse kept each of our concerns in mind and the proof was in knowing that we had been listened to in the first place. We had prepared ourselves for a lot of noise and banter, but none came. As Finesse workers entered and exited the house, and worked around us, it was surprisingly restrained. In fact, these guys were like church mice! They were respectful and polite above and beyond the call of duty. They were hard-working and friendly. As each workday passed they picked up their leave-behinds, removed remnants of tape and floor coverings, and wouldn’t leave without encouraging us to sign off on their effort. The quality of the workmanship in the finished shower itself is exactly what we had hoped and paid for, again something that we were fearful of having to bicker over. When a crack in a single tile appeared (even after the final inspection and payment had taken place) Finesse guys returned at OUR next convenient day, with a promise from the owner/manager that we may always expect such a level of dedication. The most important note to be made here is having come away with the feeling of having been listened to, which cannot be emphasized enough! We had five contractors visit us in one week with each one trying to make more out of the job than was required or that we wanted, (we suspect because our project was small to begin with). Also, it seemed, each contractor wanted to bring in another contractor-buddy to share the wealth, in some cases recruiting sub-contractors on the phone with us still in the room. Four companies in a row! The fifth contractor confirmed our suspicions by informing us that tearing out the shower and building a new, larger one one was “too small” of a job. No new floor, no new sink, toilet or bathtub. They thanked us and declined the project. The sixth and final contractor was Finesse Remodeling, which was the opposite in every way. Plus, guess what – they’re nice! The manner in which the Finesse project manager spoke to his workers was appealing as well. Their guys were treated with respect and it showed. As a result, the workers acted as if they really wanted to be there. We didn’t realize how much of a role that plays in having strangers in your home. Finesse Remodeling wanted our project and acted like it, even after the job was successfully completed. Once you get your hooks into a contractor that pays this much attention to detail and does/delivers EXACTLY what they describe in their estimate -with NO surprises- you don’t want to let ’em go. From the price we agreed on, up to now, we’ve been completely satisfied and plan on using Finesse Remodeling again soon. I chose Avi because he was most concerned about seeing that his client would be pleased with the project. I had interviewed three contractors after contacting six. It was clear that Avi was willing to change “norms” as the project progressed to see that my wishes were fulfilled. His affable personality and can-do attitude was a pleasure to have during the upheaval that any remodel/building project entails. He was on the job frequently, but always when there were any questions or concerns on my part. All I had to do was call him and he would drive out even though he may have already been at my worksite that day. His workers were on time, on the job daily, and clean and neat at the end of the day. They were never on “another job” during my three-week bathroom remodel–they were always there. His use of a professional industrial cleaning service at the end of the job is a nice surprise–women clients will love it.! As with any project, be clear with what you want; use drawings, diagrams, pictures, whatever, to be sure everyone involved knows what the final remodel will look like. Have a complete drawing with specs for the design elements and also an accurate parts’ cost at the contract signing. I am quite happy with the new Parisein bathroom and I now consider Avi a friend. My husband and I wanted to remodel our bathroom and had a few contractors come out for quotes. We went with Finesse because Avi was the only one that seemed to really care about what we wanted, what our budget was, and what he could do for the best results. His presentation was very friendly and thorough. Everything that was expected in the job was written in detail so there would be no surprises. The results of the job exceeded our expectations! And they finished a week ahead of schedule, which I think is unheard of for a remodel. His crew was very respectful and nice. They did a very detailed, excellent job. The tile work was amazing. I can’t stop staring at our shower! And the rest of the bathroom is completely awesome. They did a great job from top to bottom literally. I liked that the crew was so polite and careful of keeping the work area tidy. After the job was done, Avi had a cleaning service clean up the house of the areas that might have been touched with dust from the work. Overall, Avi is our go to man for anything from this point forward. We are very satisfied with the results, the service, and LOVE our bathroom! Believe me, it was a bit of a nightmare before. Very tiny space, and Avi tackled it with ease. I feel like the bathroom grew! Highly recommended!